The popular Canadian parlor pastime, Spocking the Five, has come under fire from the Bank of Canada. The fact that Spocking has been going on for years and has become part of our heritage should make the Bank back off. And they have, a little. They say that Spocking is not illegal, but it is disrespectful. But are they right? Spock’s connection to Canada is strong. 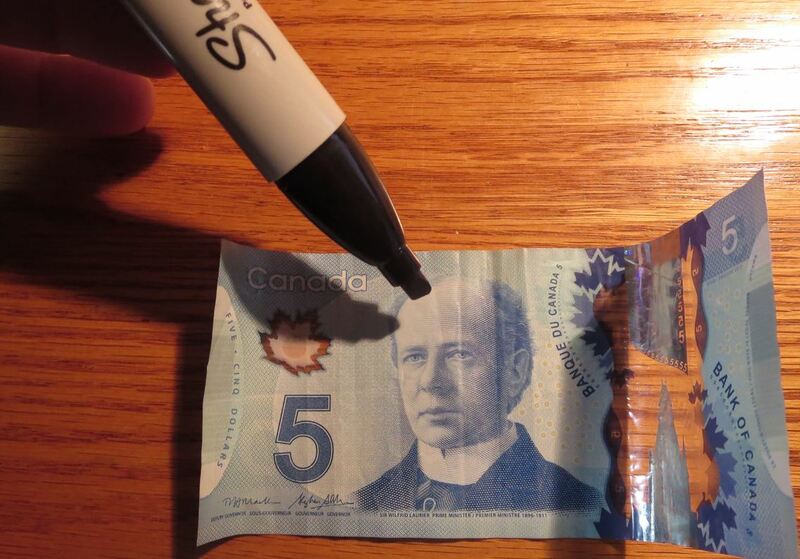 He really should be on the Canadian Five Dollar, instead of the bank teller prime minister with the improbable name Sir Wilfrid Laurier. I’ll bet you five dollars that more Canadians have heard of Spock (who civilized planets) than Laurier (who didn’t). It’s just plain common sense that the well-known superhero deserves to be engraved on a bit of money that can almost buy half a ham sandwich. 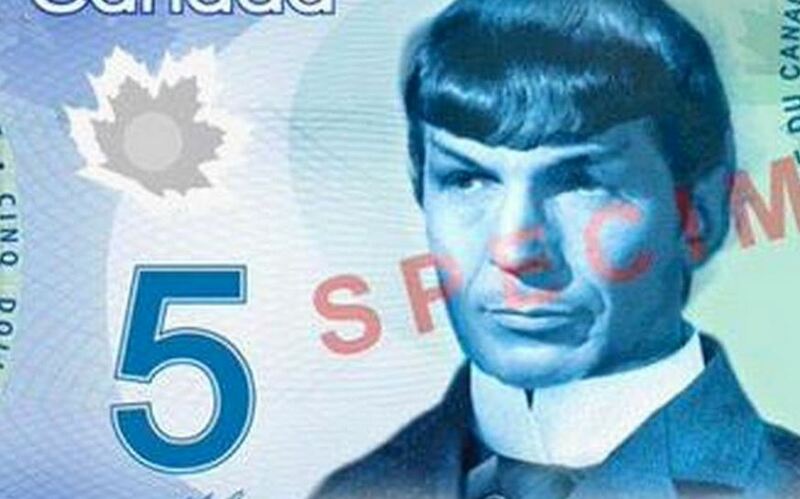 The bill should sport Spock, rather than some unknown politician from a hundred years ago. 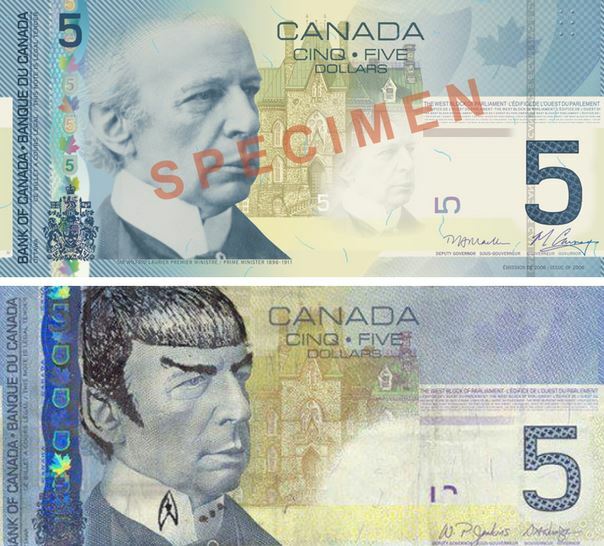 Spock has a strong Canadian connection. 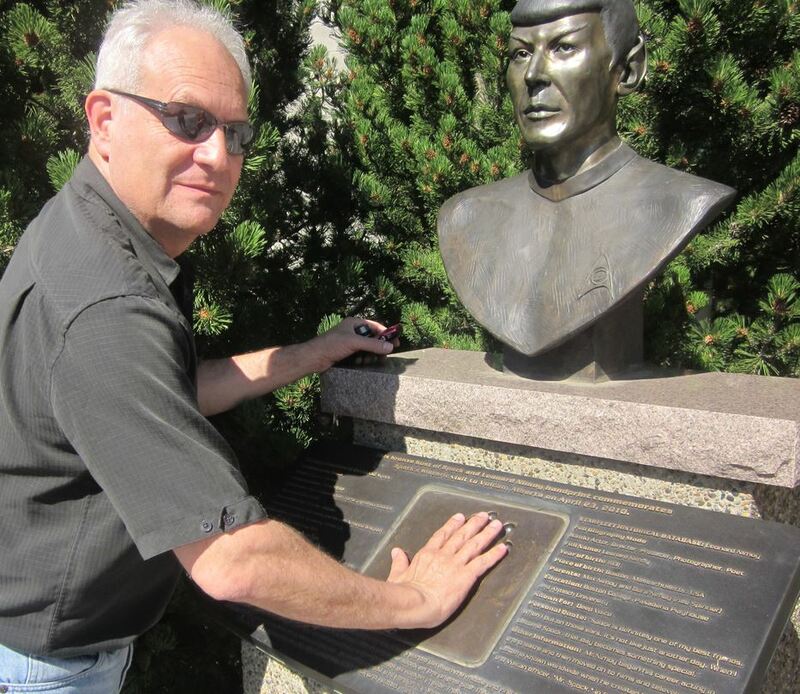 A day in Vulcan, Alberta, Canada, isn’t complete without melding your prosperity fingers into those of Vulcan’s Mr Spock. Spock visited Vulcan, Alberta. On display are his bust and hand print, made from cooling molten lead. (That must have hurt!) This, in theory, honours his many one visit to the farm town named for Spock’s home planet. If you must know more, you can read my post about Spock’s days day in Vulcan. So, to Spock or not to Spock? The Bank of Canada says that merchants might not accept a Spocked bill as legal tender. But I think that a really nice Spock job might entitle you to a premium, like a 15% discount on a purchase. So, go ahead and Spock. Spocking our 5s. You should see what we’ve done to the queen on our 20s. This entry was posted in Culture and tagged Canada, Spock, Spocking Canada, Vulcan. Bookmark the permalink.